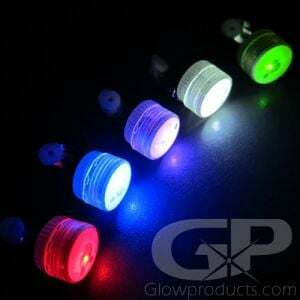 - Happy Birthday LED Tea Light Luminary Bags! 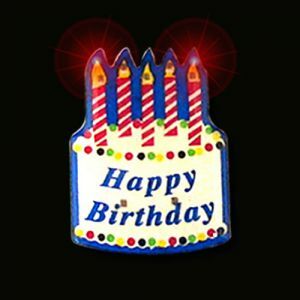 - Cutout Happy Birthday Message! 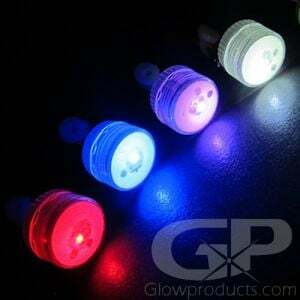 - Each Bag includes 2 LED Tea Light Candles! 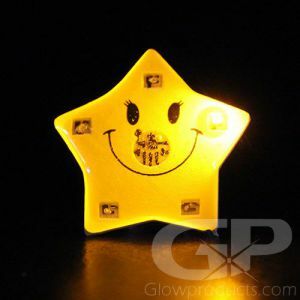 - Glow in the Dark Birthday Party Decorations! Show that special someone how much you mean to them with Happy Birthday Luminary Bags with Tea Light Candles! 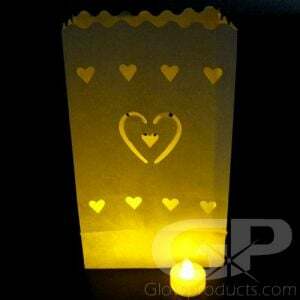 Each Birthday Design Lantern Bag comes with two LED Tea Light Candles. 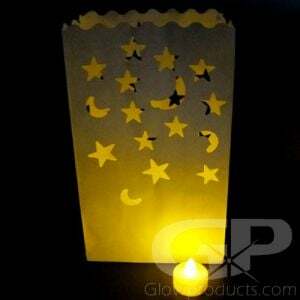 Light up your Luminary Bag by placing the Tea Light Candles inside and watch the cutout Happy Birthday message come to life with flickering light! Light up paths and walkways for your birthday party guests. 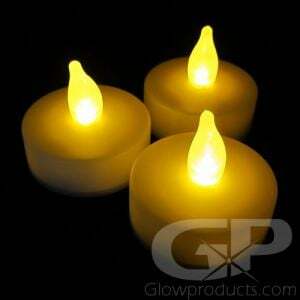 Create fun glow in the dark birthday party centerpieces and displays - light up your sweet sixteen or your buddy's 40th. And because the happy birthday luminaries use flameless LED tea lights to light them up, you don't have to worry about leaving them unattended - you can place them anywhere! 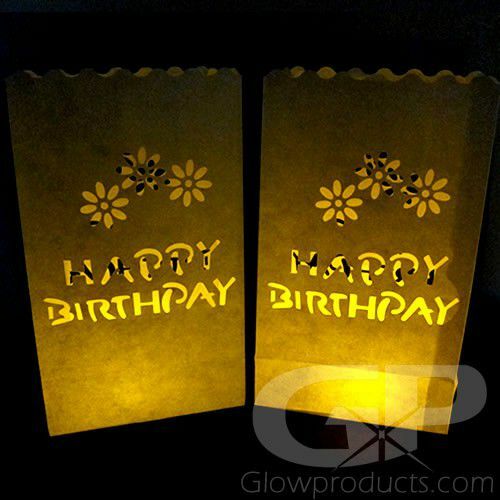 Make your birthday party glow with LED Luminary Bags! Unfold your Happy Birthday Luminary Bag and turn the LED Tea Light Candles on by using the switch on the bottom of the candle. Place your Candles into the LED Lantern Bag. You can also add sand or garden pebbles to your luminary bag to stabilize it. 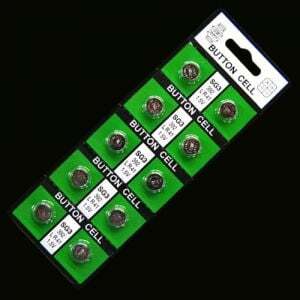 Each Tea Light Candle comes with included batteries included and installed and the batteries are replaceable as well. To add color to your Luminary Bag, try adding a couple glow sticks!